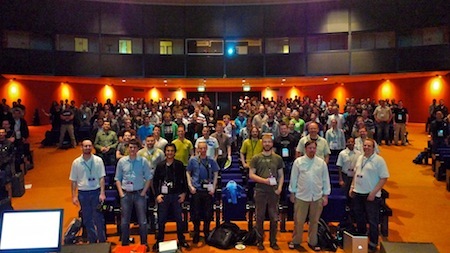 Two weeks ago, I had the great honor of giving a keynote at the Dutch PHP Conference. Because I had never been to Amsterdam or to the Dutch PHP Conference, I was really excited to have a chance to speak there. It was also an opportunity to give my favorite talk to a new audience. As I began speaking, I noted that PHP had just turned 15 years old. Years ago, the community was energized by all of the misinformation being spread about PHP. It doesn't scale. It's insecure. It's not maintainable. When I began speaking about security, it was partly in response to some of this. I wanted to educate developers, so that we would not only take responsibility for the security of our apps, but also so that we could avoid the most common and dangerous security problems. These days, petty insults probably continue in the comments on Digg or Hacker News, but no one takes them too seriously. Can PHP scale? Well, the biggest and most popular sites on the Web all use PHP, so I guess so. With no misinformation to energize us, it can easily seem like the PHP community has lost its luster. Not so. The age of features is dead; welcome to the age of user experience. My talk revolves loosely around security, but it's really a call to arms for my developer peers to take a step back and consider the bigger picture. We need to zoom out. Sometimes, even with a subject as technical as security, the social elements of the problems we face are just as important as the technical. If we can't empathize with users, we can't be great developers. I want to thank everyone who took the time to say nice things about my talk. Hearing it described as the "best keynote I have ever seen" and the "highlight of the event" is really encouraging and makes it all worthwhile. I can't possibly thank you enough. I'll leave you with a little taste of the talk where I invite everyone to participate in a change blindness experiment. I may discuss change blindness and how it applies to the Web in more detail later, but for now, see if you can spot the difference in the two photos I used in the change blindness video I created for this talk.